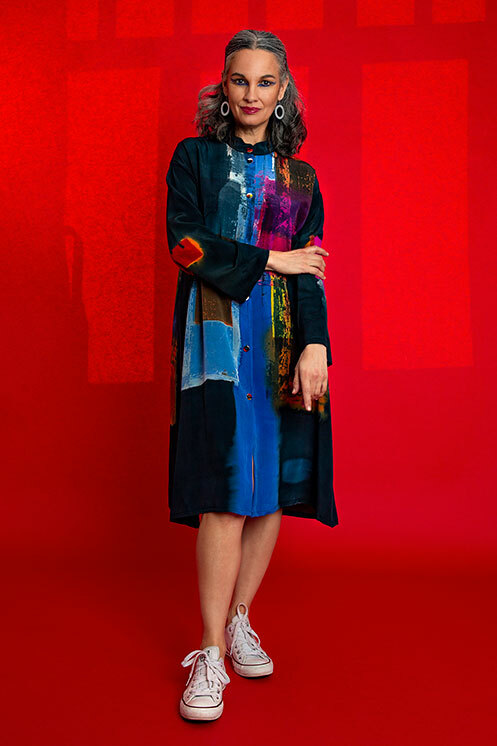 This is a style called the Indian shirt dress – because of its Nehru style collar – it has painted buttons all the way through so it can be worn as a dress. 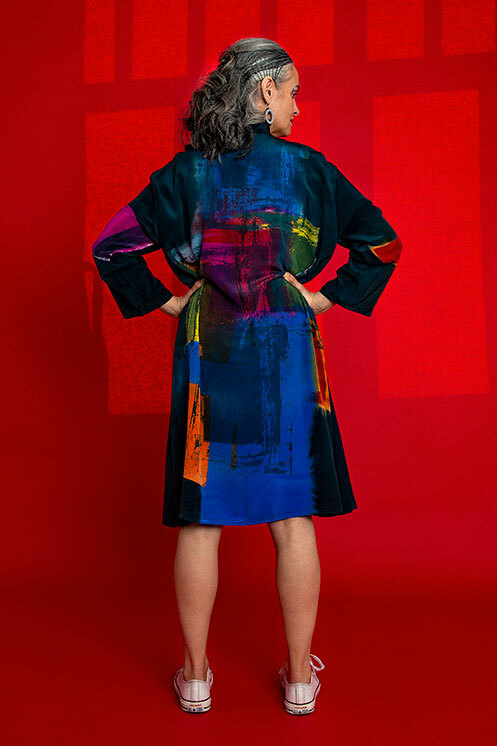 This piece is from the GRIT collection and is painted in many shades of cobalt and ultramarine blues with hints of purple, coral, grey, red and yellow. Measurements : 103cm/40″ backlength and about 120cm/46″ at the bust level. SKU: CW4.53. More: Silk, Silk Shirts.